Fans of the Red Green Show are familiar with the Adventures With Bill segments. For the uninitiated, these skits featured Red’s hapless friend Bill involved in one sort of misadventure or another — generally ending in bodily harm. Bill was a fictitious character. I always suspected he was based on my friend Bill, who is not fictitious. But, when the real Bill sets out to do anything, he can be just as entertaining. 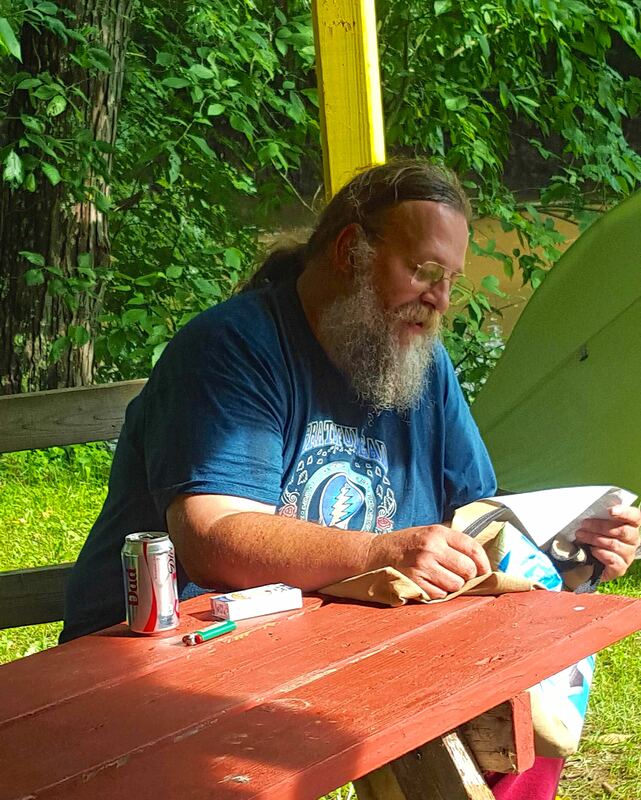 Here are a few shots from a recent camping trip on Lake Fork of the Mohican River. 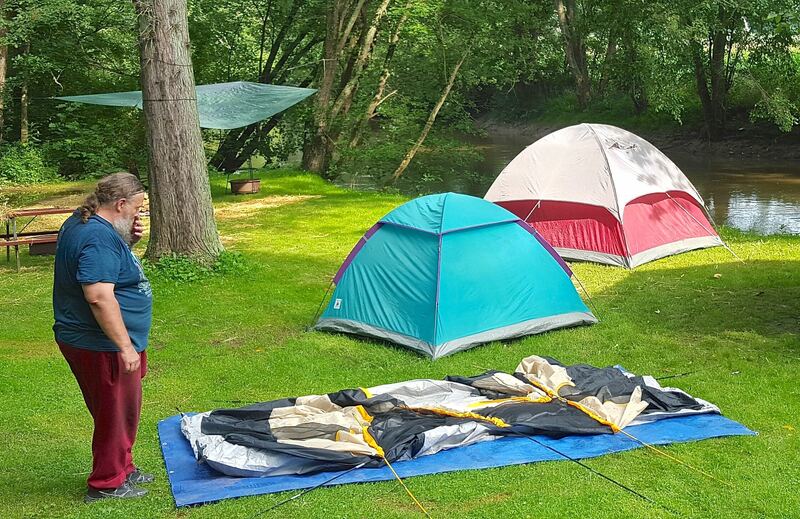 Bill opts for the manly approach to pitching a tent — ignoring the instructions. On second thought … Bill decides to have a look at the instructions. 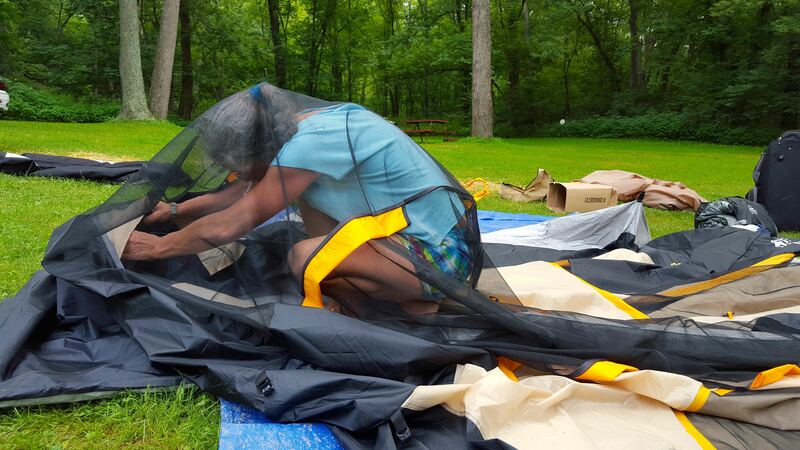 Bill’s friend, Cecie, tries out the tent after he’s done pitching it. 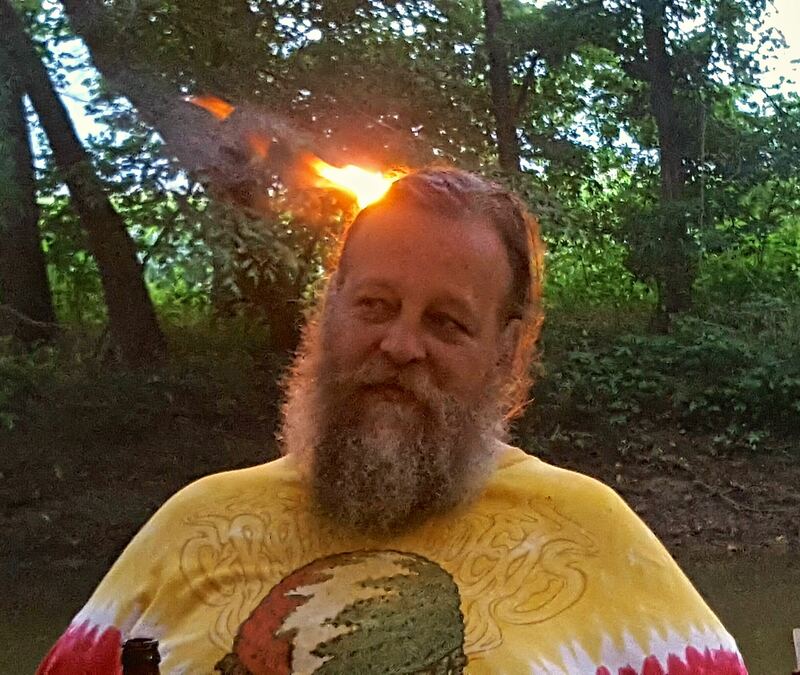 Bill — after getting the campfire started. 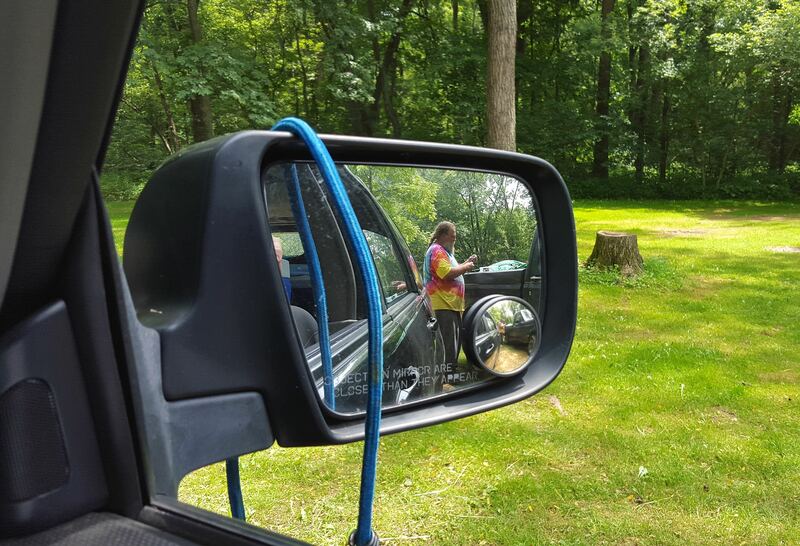 Packing up after the camping trip, Bill has a misadventure with bungee cords. This one ended up wrapped around my car mirror. Yes, Bill, IS closer than he appears.